TOPwave is a versatile system offering a variety of digestion vessels, fulfilling all requirements of modern applications. Its innovative design combines highest operating comfort with maximum safety and performance. The different vessel types are made of a high performance fluoropolymer, which means long lifetime and few consumables. This intelligent vessel design minimizes subsequent costs and simplifies the handling. All vessel types can be opened and closed by hand, without any tools. An optional evaporation unit can be used for sample concentration. The system works with an innovative sensor concept. All sample temperatures as well as the internal pressures are measured and displayed individually and in real time. No immersed probes or mechanical sensors are used – the system uses optical measurement principles. 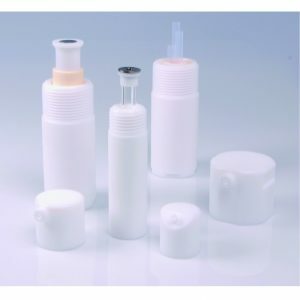 No sensors must be installed, connected, cleaned or replaced – handling is further simplified and consumables are eliminated.